Scott Amato has been a sportswriter for a major Midwestern daily newspaper since 1985. He has covered professional baseball, football and hockey. In addition, Amato has contributed to sports publications throughout the United States and Japan. He has a Bachelor of Science in journalism from Ohio University. In its natural form, honey has an incredibly long shelf life. According to Eat By Date.com, honey sealed in a tightly secured jar can last indefinitely, as long as it is not stored in darkness or humid conditions. Dehydrating honey ensures an indefinite shelf life, regardless of where it is stored. A dehydrator takes the moisture out of honey and ensures there will be no discoloration or crystallization. 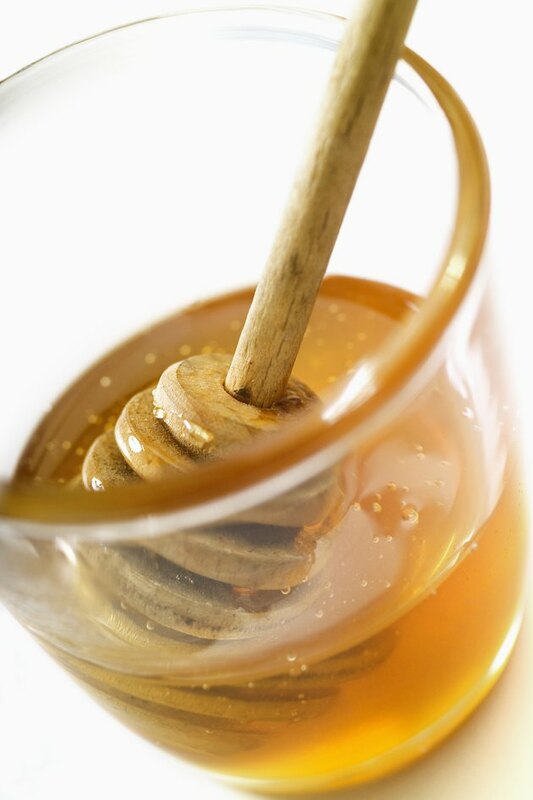 Dehydration also prevents yeast from growing on the honey, which can spoil the sweet taste. Spreading honey on parchment paper is the first step in the dehydration process, according to Dehydrate2Store. Parchment paper can withstand the heat generated by the dehydrator, which eliminates all of the moisture. Fruit roll-up sheets that are specifically designed for dehydrators can be used instead of parchment paper. A popular food substance created by honey bees, honey can contain a high moisture content that ultimately leads to fermentation and loss of taste, according to a study conducted by the International Journal of Ambient Energy. Dehydration eliminates the moisture. Dehyrdate2Store recommends setting your dehydrator at 120 degrees once the honey is spread and ready to be dried. Place the honey and parchment paper -- or fruit roll-up sheet -- in the dehydrator and stay alert. When the honey hardens and begins breaking apart, remove it from the dehydrator. The honey will burn if left in the dehydrator too long. If taken out too early, the honey will still contain moisture and maintain its gooey texture. Remove the honey from the dehydrator once it is brittle enough to break into pieces. Let the honey cool. Do not store the honey in an area where humidity or moisture is present. Storing honey in a dry area during the cooling process keeps out any additional moisture. Once the honey cools, place the dehydrated pieces into a blender. This is the final step, and the blender grinds the dehydrated honey into a sugar-like substance. Dehydrated honey sugar -- or powder-- can be used as a spice to add a natural kick of sweetness to a variety of baked goods. Storage is still important, even after dehydration. Keep the dehydrated honey tightly sealed and housed in a dry area. Exposing dehydrated honey to humid or moist conditions turns the powder from dry to sticky. What Are the Benefits of Buckwheat Honey?